Fieldwork in Courtroom 53: A Witness to Delgamuukw v. B.C. 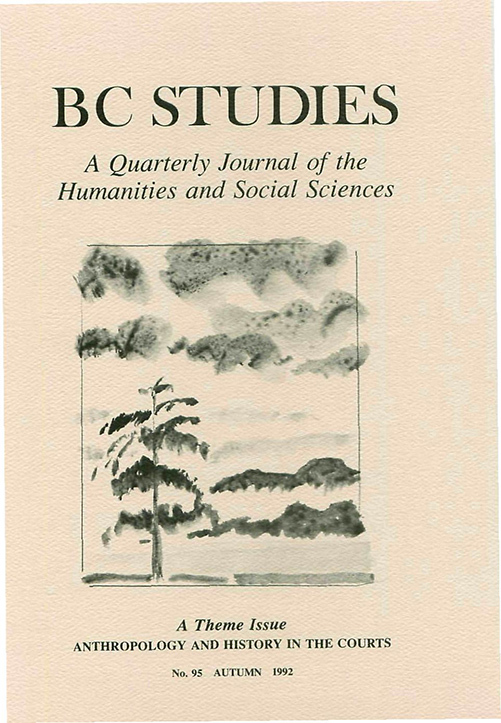 Invention of Anthropology in British Columbia's Supreme Court: Oral Tradition as Evidence in Delgamuukw v. B.C. Judging History: Reflections on Reasons for Judgment in Delgamuukw v. B.C.